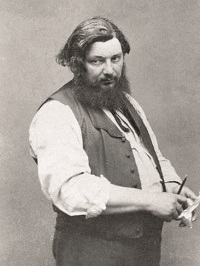 On the bicentenary of his birth, Courbet's native Ornans is poised to lift the veil on the provocateur behind the world's most reviled, and revered, painting. 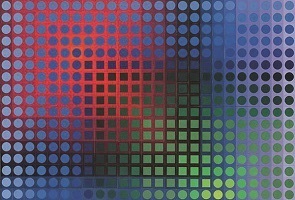 His artworks were nothing if not controversial, L'Originie du Mondre is statement example. 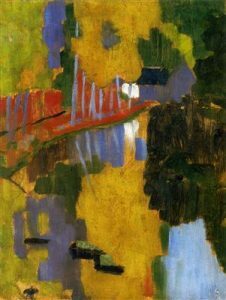 Paul Sérusier’s Talisman became the model for post-Impressionism, providing a blueprint for a bold new aesthetic. 130 years on, Orsay explores the mythical artwork's influence on the Nabi movement and its enduring legacy. 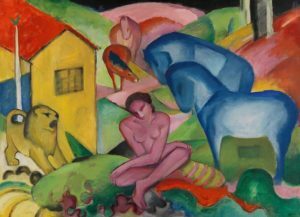 Casting a wide net, the Musée de l'Orangerie retraces the twin careers of Franz Marc and August Macke, both leading exponents of the Der Blaue Reiter (blue rider) movement, and their quest to push the limits of paintings. 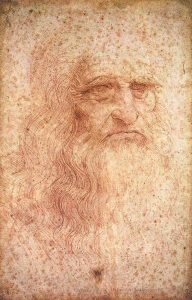 In case you hadn't heard (unlikely with all the hullabaloo surrounding the anniversary), it's been 500 years since Leonardo da Vinci breathed his last at the Château du Clos Lucé in Amboise. 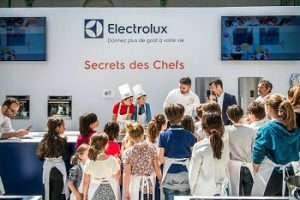 And the Loire Valley town (and the rest of the region for that matter) is not about to let the milestone go by without a full year of events, concerts and light shows. Enter the Viva da Vinci! 2019 festival, an anniversary celebration of epic scale. Many artists have immortalised black people in their work, often going against the typical representations of their respective periods. 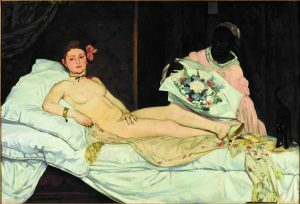 Taking a multi-disciplinary approach, the Musée d'Orsay's Black Models: From Géricault to Matisse explores the portrayal of black figures in visual arts, from the late 18th century to the modern day. This eye-opening exhibition examines artists' crucial role in the challenging perceptions - and pre-conceptions - of race and 'otherness' across the centuries. 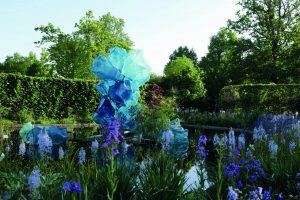 France's answer to the Chelsea Flower Show (with an extra sprinkling of whimsy), Chaumont's Festival International des Jardins is a breeding ground for green-fingered mavericks. This year's 'Gardens of Paradise' edition is sure to be heaven on earth. Riding its 'European Capital of Culture' high, Lille is poised to seal its rep as a cultural gold mine with the lille3000 Eldorado festival. 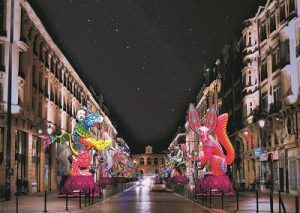 Borrowed from Mexican folklore and South America legend, Lille will treat locals and visitors to the Latin Fiesta of the decade. 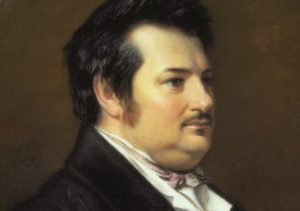 The 220th anniversary of Balzac’s birth leads his hometown of Tours to give the prolific wordsmith a big party (his Comedié Humaine series counts 91 novels penned in less than 20 years!). It is a year of non-stop celebrations, all culminating in a bumper birthday weekend in May alongside a reveal of a commemorative art installation. 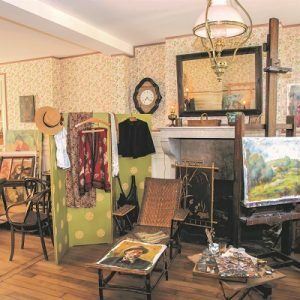 Discover Pierre-Auguste Renoir's summer home, in Essoyes in Champagne, where he lived there on and off for more than three decades on the centenary of his death. 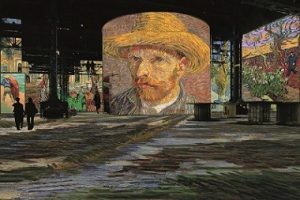 His final resting place is preparing to honour its adopted son with a volley of events and a flagship exhibition Be sure to visit between May and October, when a number of the painter's original works will go on show in the dining room.